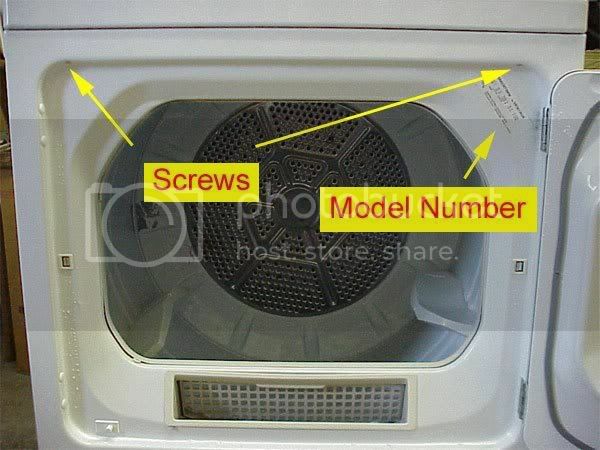 At some point during the life of your dryer, you’re gonna need to open it up to do some surgery. 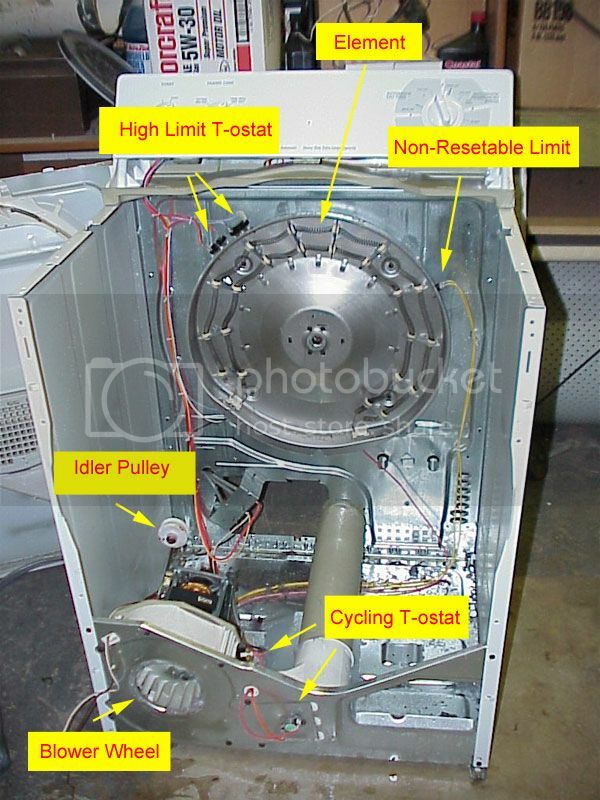 Here are basic disassembly procedures for the most common dryer brands and models. 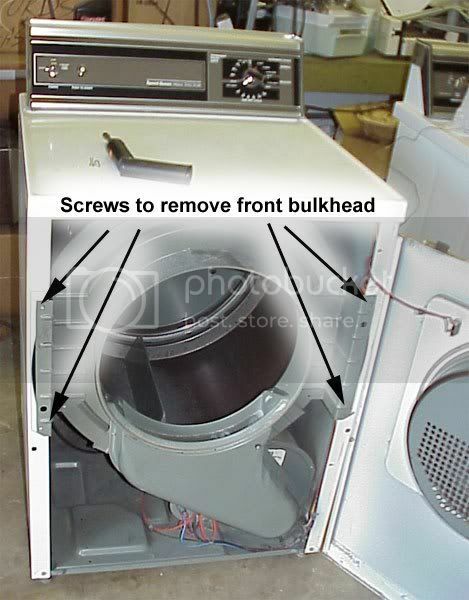 And, Hoss, a genuine manufacturer’s repair manual can be a valuable accomplice in your dryer repair odyssey. Come git you some. First, pop the hood on that sucker. 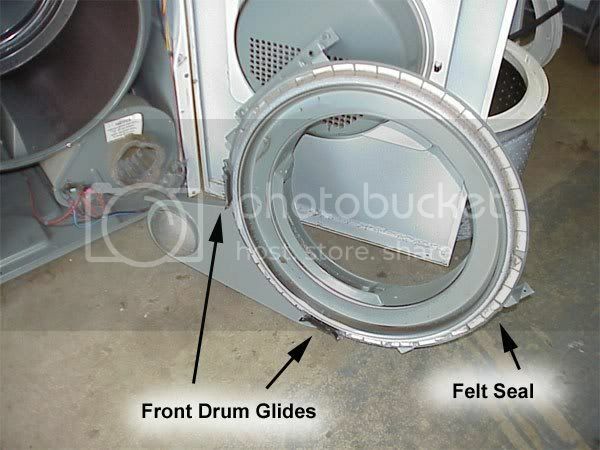 Here’s whatcha see on the inside looking in from the top and here’s looking at the guts of the dryer with the drum removed. 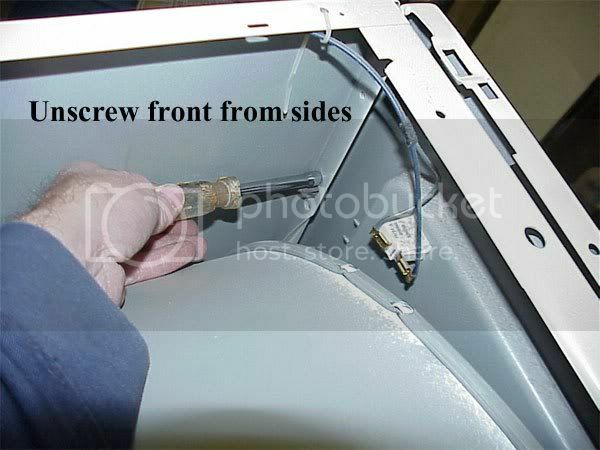 First, remove the two screws at the bottom of the front panel. After you’ve removed the front panel, you’ll see four screws that hold on the front drum glide bulkhead. 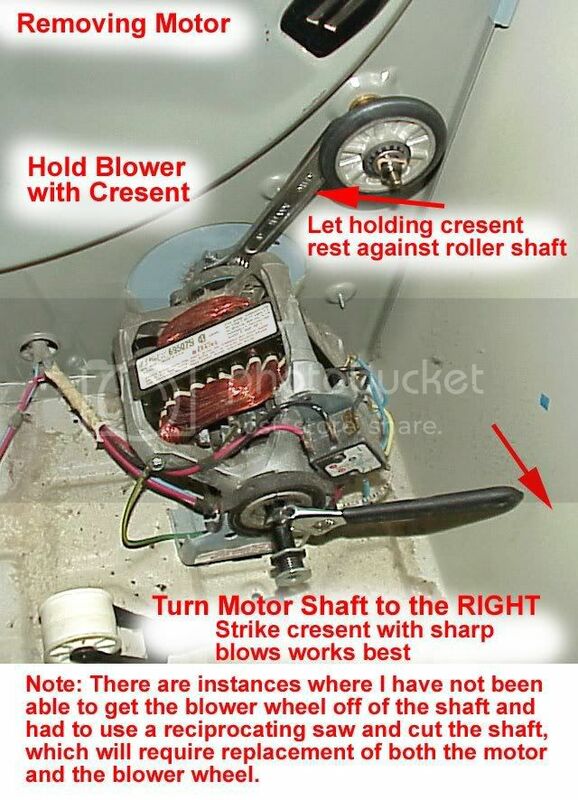 Remove the bulkhead and set it aside–be careful about the door switch wires. 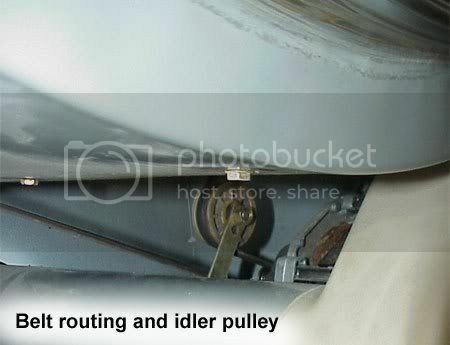 To remove the drum, first unstring the belt from the tensioner pulley. Old Style: First, remove the several screws holding the top down and then the bottom two screws Lift the top and remove the two front panel retaining screws on the inside. 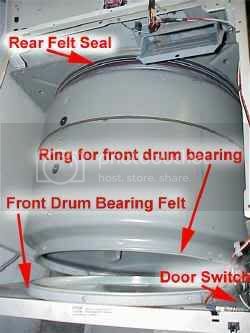 Then remove the drum center bearing clip, unstring the belt, and remove the drum. 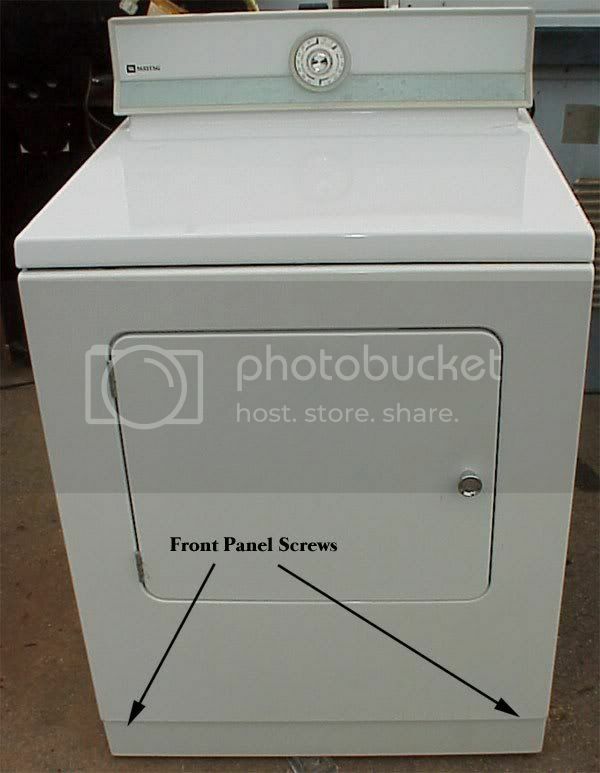 New Style: Remove the top panel retaining screws, pop the top, and then remove the inner front panel screws. 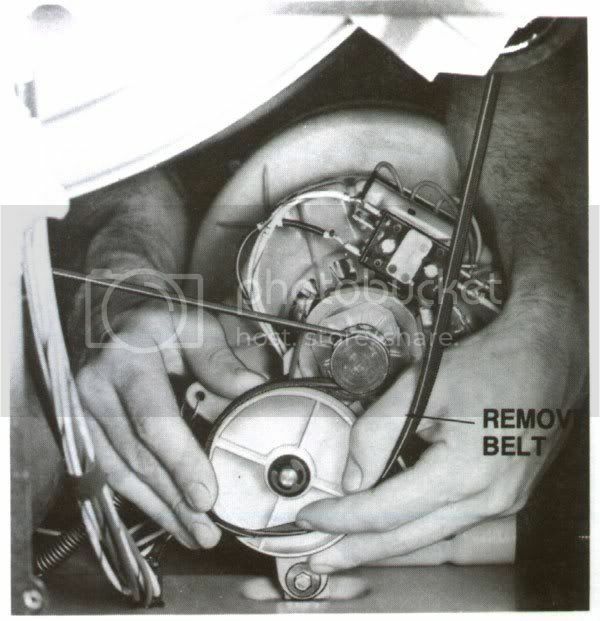 Unstring the belt and remove the drum. Here’s what it looks like with the drum removed. 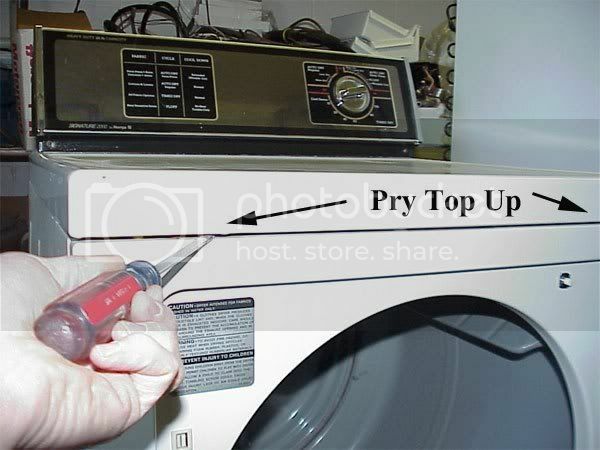 There are two variations on this dryer that affect how you restring the belt. Variation 1 has a rear access panel through which you can restring the belt. Variation 2, however, does not have this rear access panel. 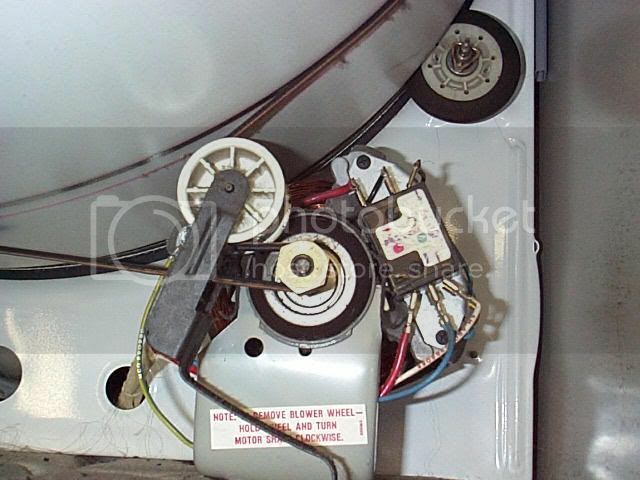 (Thank you, GE ) To restring the belt on this sorry excuse for a dryer, remove the phillips screw inside the rear exit opening of the blower duct and remove the duct. Then restring the belt from the front. 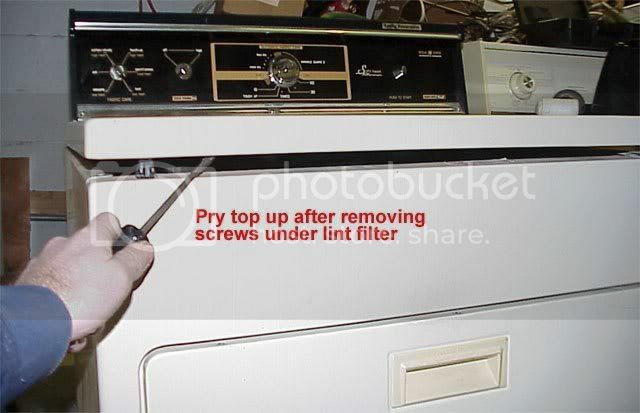 Remove the two screws at the lint filter and pop the top up. Here’s what it looks like under the hood. 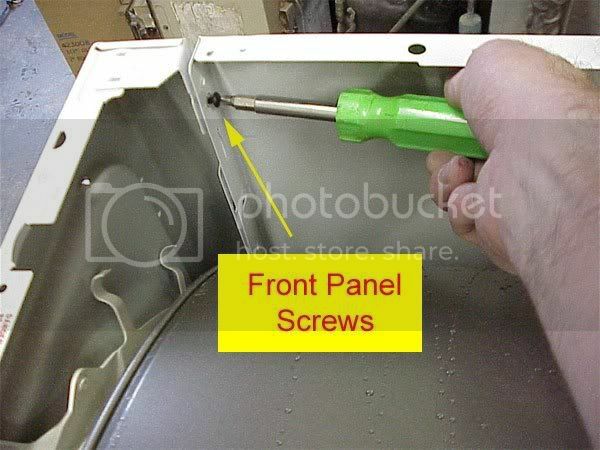 Remove those two screws inside the top of the front panel. Now, go ahead and unstring the belt to remove the drum. With the drum removed, you can see the drum rollers. 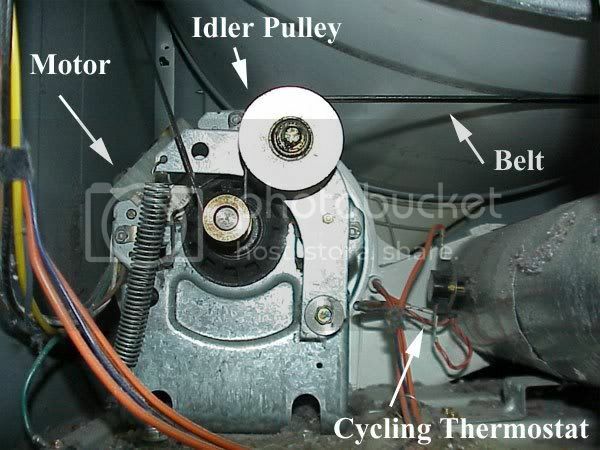 If you need to remove the motor, this’ll hepya. 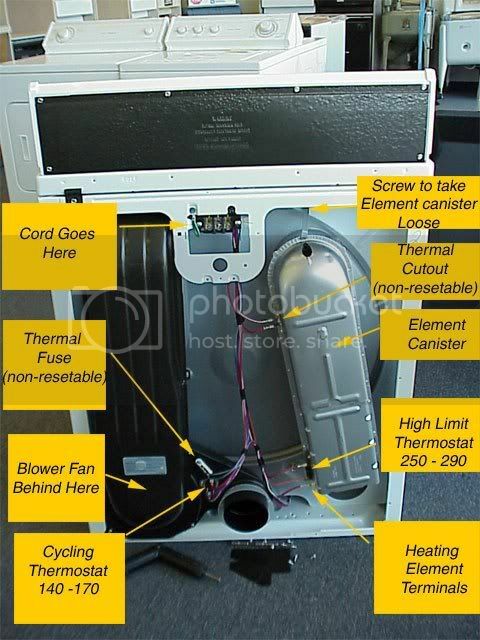 You can remove the back panel to get to the blower chute and lots of other stuff, too. 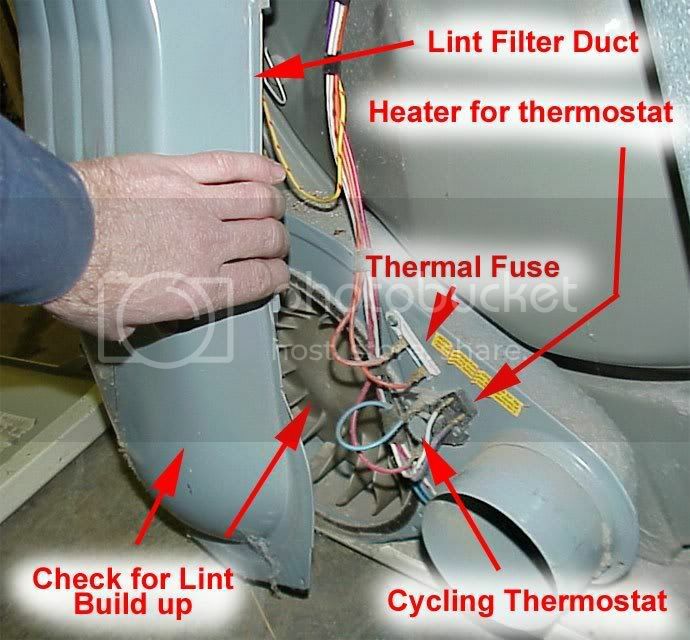 This shows how to remove the blower chute. 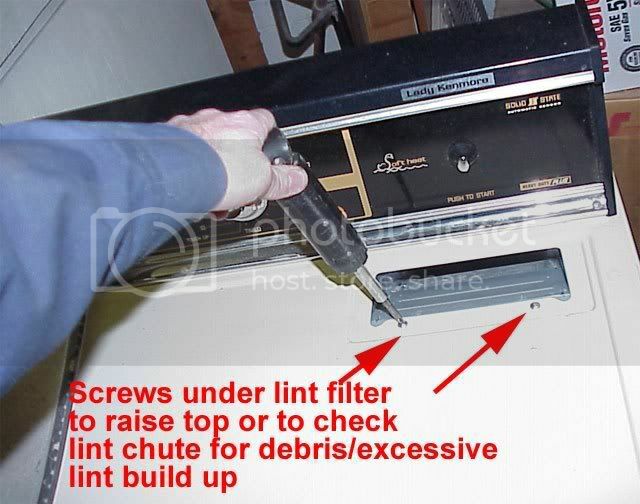 Lint Filter in the Door: Remove the front kick panel to reveal the bottom retaining screws for the door panel. 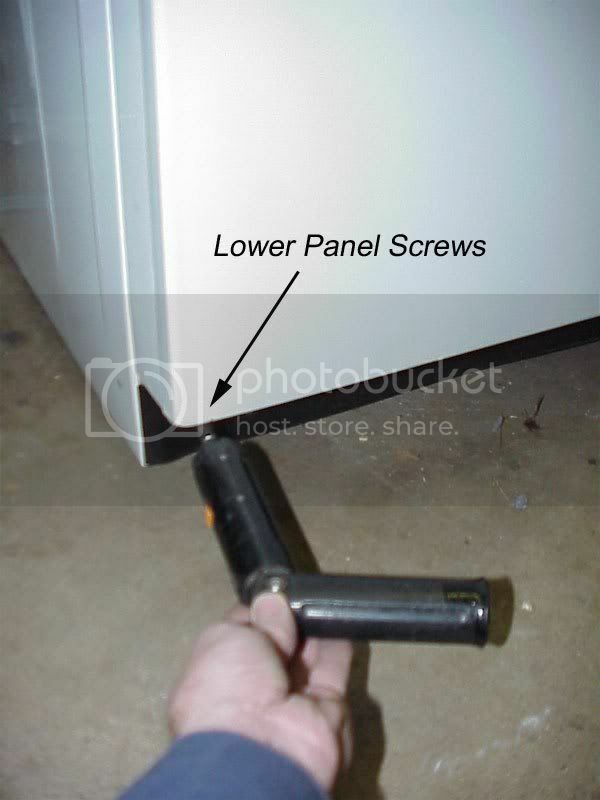 Now remove the top panel to reveal the top retaining screws for the door panel. 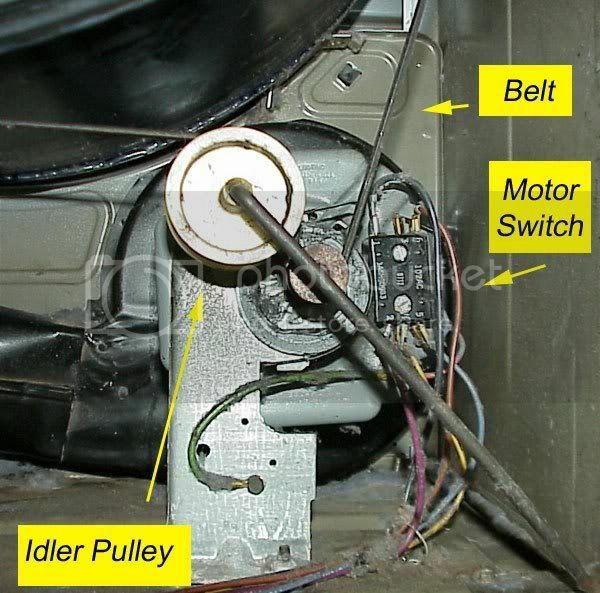 Disconnect the wiring harness for the door switch and remove the door panel. Now unstring the belt and remove the drum. 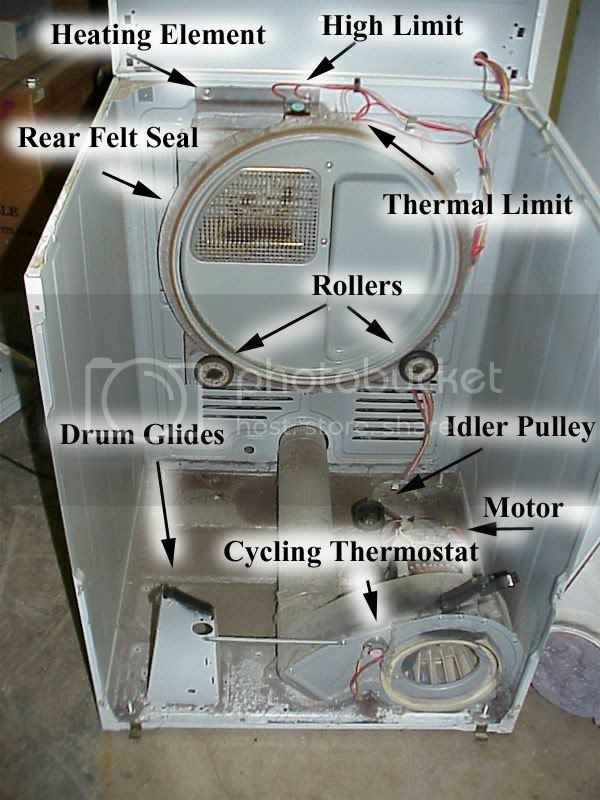 Disassembly is very similar to the Amana-Speed Queen dryer. Remove the two screws at the bottom of the front panel. 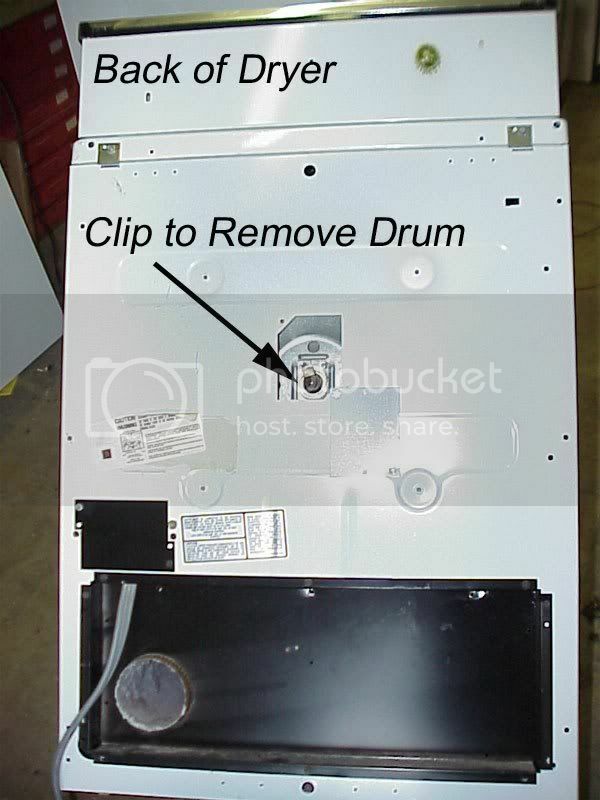 Remove front panel, and then remove the drum support bulkhead. 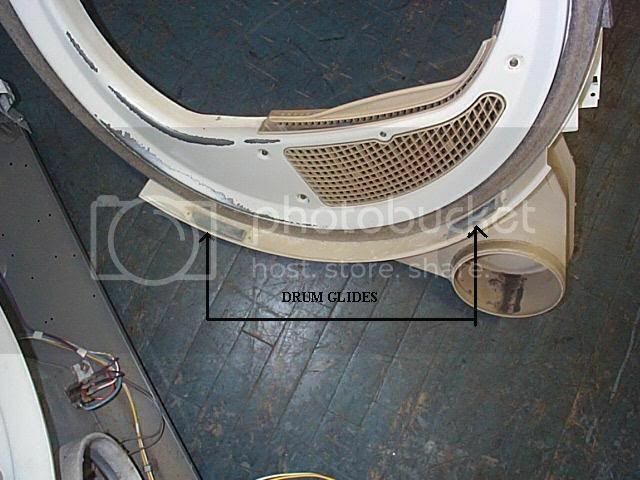 The front glide set for the drum is shown here. 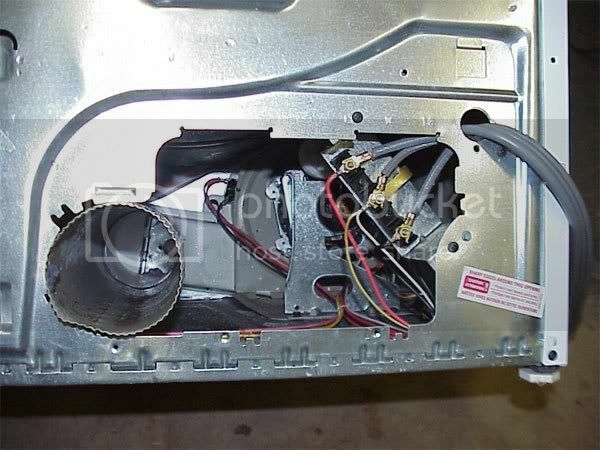 With the bulkhead out, you can access the blower housing. 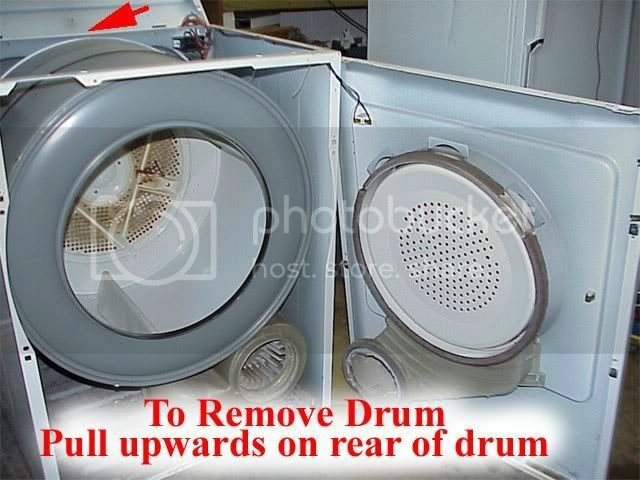 Remove the belt before pulling out the drum. 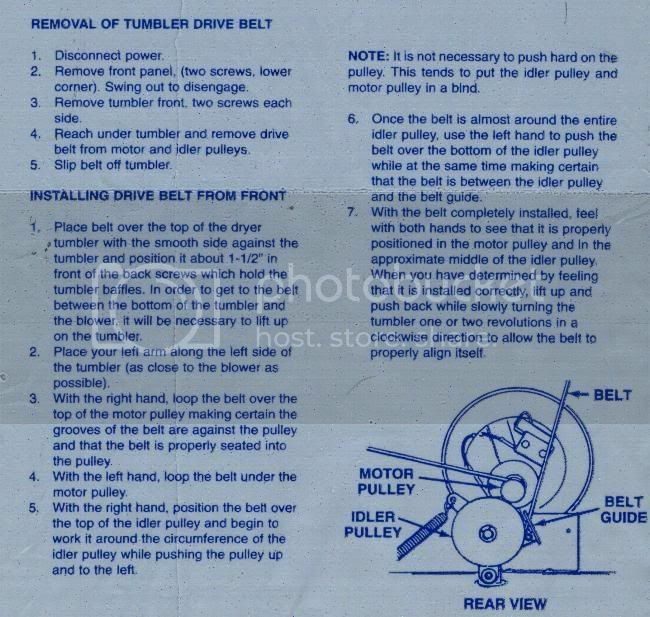 If you need detailed instructions on replacing the belt, this will help. With the drum removed, you can access the rear drum rollers. 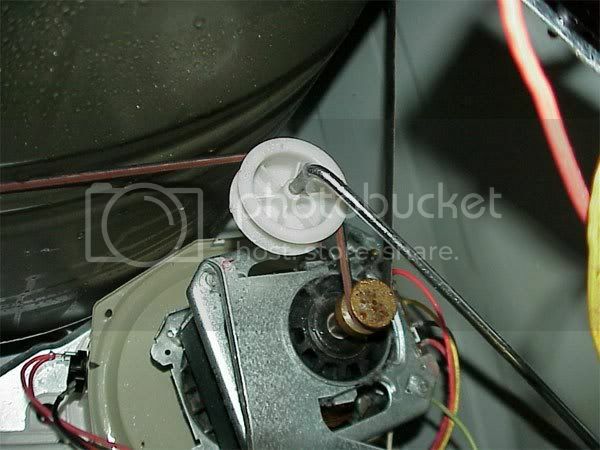 Pop the top, remove the front panel screws, unstring the belt, and pull out the drum. 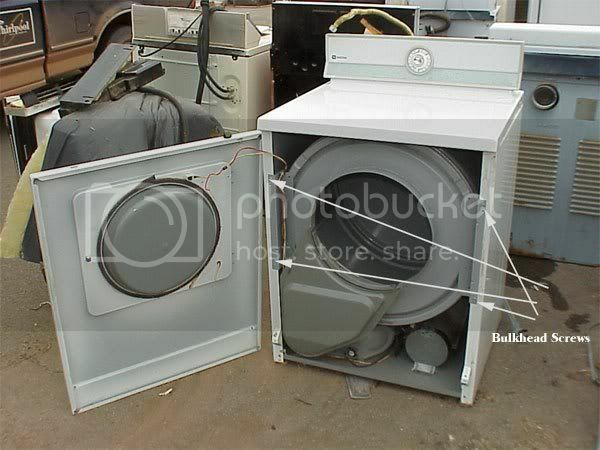 For more information about your dryer or to order parts, click here. 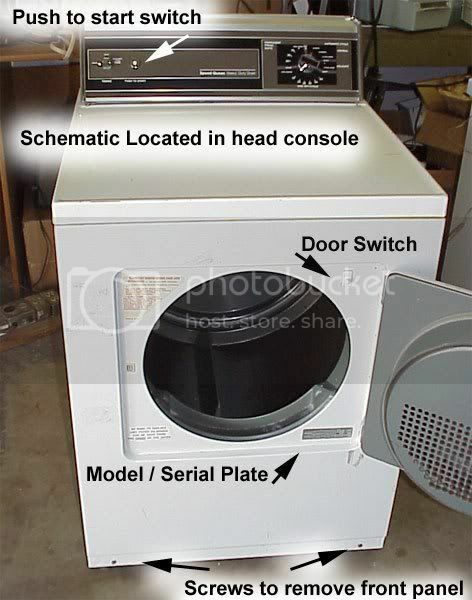 This entry was posted in Dryer Repair on March 22, 2004 by Samurai Appliance Repair Man. Love your website. 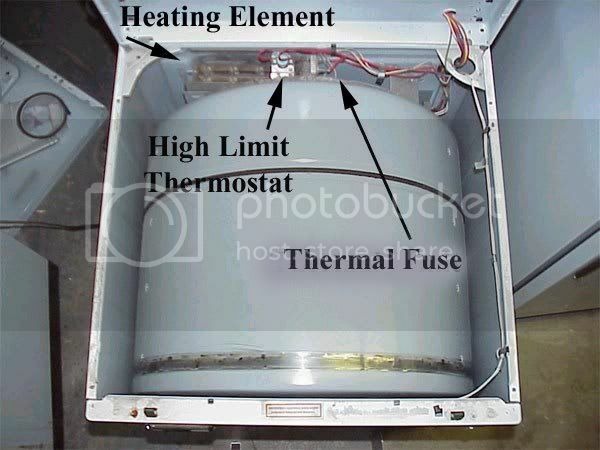 Also, truly appreciate your help in tracking down the noise at start-up and shut-down with our Maytag dryer (due to a faulty blower fan). However, I am having difficulty opening the unit. 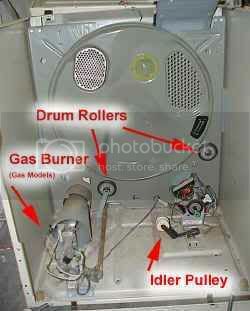 I have a Maytag Performa gas dryer (model # PYG2000AWW) and cannot find the front panel screws. 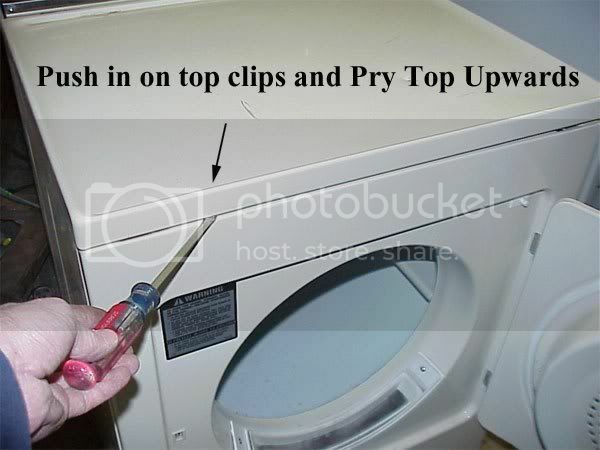 I have found 2 clasps on the bottom which allows me to open up the front panel part-way by lifting up from the bottom. But this doesn’t seem to be correct as it bends at the top. 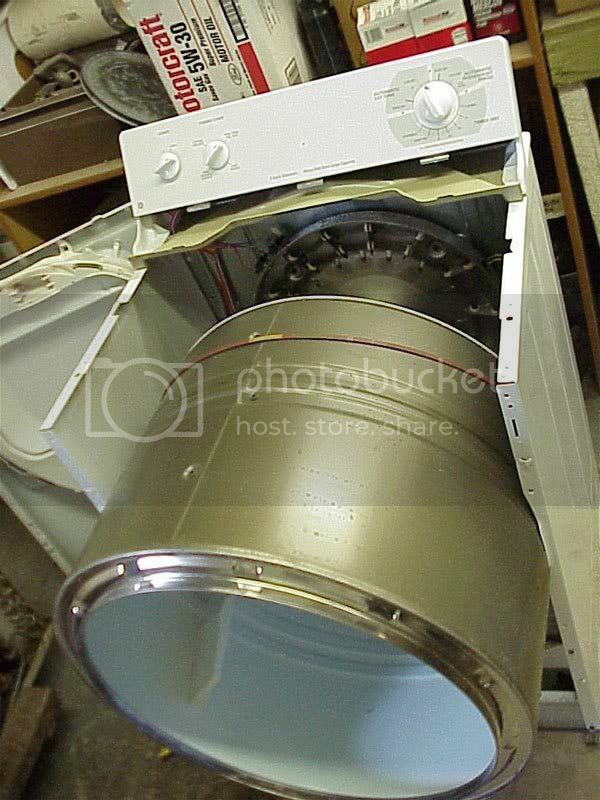 I too have the same dryer – a Maytag Peforma PYG2000AWW – I opened the unit by popping the top – see Samurai’s tip on opening Admiral, Norge, some White Westinghouse, Montgomery Wards.